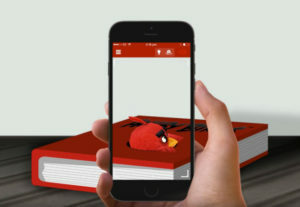 Rovio Entertainment is thrilled to announce the development of a revolutionary new augmented reality (AR) app that is set to seamlessly connect Rovio licensed products with the digital Angry Birds universe. The new app in the pipeline, codenamed ‘Project Magic’, will transport consumers into a breathtaking new world, allowing them to engage in highly immersive branded content experiences that bridge the gap between digital and physical licensed products. With an official release date being in 2019, Project Magic’s new ecosystem will be the latest milestone in Rovio’s ever-expanding brand licensing roadmap that has already seen them working with some of the world’s largest brands and IPs. Project Magic will enable Angry Birds fans to travel through an augmented reality portal straight onto Bird Island – the home of Angry Birds. App users will be able to explore Bird Island and discover various exciting, high production value AR locations and experiences. Project Magic will utilise augmented reality to enrich user interaction with the promotional and licensing partners’ products and locations, mixing the boundaries between the digital and the physical worlds. Rovio is currently developing Project Magic alongside renowned augmented reality specialists, Zappar. 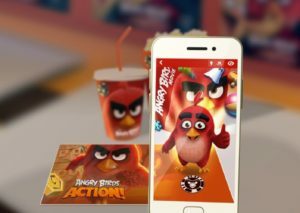 This state-of-the-art augmented reality platform will build on the successes of Rovio and Zappar’s previous collaboration within AR, which was created for The Angry Birds Movie launch back in 2016. Rovio is also developing a long-term and diverse platform of entertainment touch points for its passionate global audience. A brand new long-form animation is planned for 2020. Other flagship projects include brand new live stage shows, new animated and live action content for Rovio’s Angry Birds YouTube channel, and new location-based entertainment initiatives. The planned 2019 theatrical release of The Angry Birds Movie 2 is swiftly followed by the landmark 10th anniversary of the original Angry Birds in December 2019. To date, the Angry Birds family of games have amassed over four billion downloads since 2009. Throughout 2018, Rovio will continue its games event and partnership program developing bespoke in-game content for new brand partners. Some previous partnerships include the 2018 Imagine Dragons, NFL Super Bowl, Iron Maiden and Everton Football Club.